Venture behind-the-scenes and discover what makes Daytona International Speedway the World Center of Racing. Tour options include the 90-minute All Access Tour or the 30-minute Speedway Tour. Exclusive, privately-guided VIP Tours also available on select dates monthly. 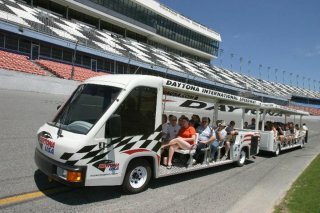 Open daily from 9 a.m. to 5 p.m., with tours departing from 10 a.m. to 4 p.m. During the daily, 30-minute Speedway tour ($16/$10 children 6-12), take a ride through Daytona International Speedway's infield, see the 31 degree high banks and pass through NASCAR garages as you learn about the history of Daytona International Speedway. Travel along Pit Road and discover how NASCAR's top drivers prep for the largest motorsports event of the year. Or, choose the All-Access Tour ($23/$17) and embark on an exciting, privately guided tour through the historical sites of Daytona International Speedway. This tour includes a trip around the Speedway, along the infield and pit road, the opportunity to explore the Monster Energy NASCAR Cup Series™ garages and Tech Inspection, check out the drivers meeting room and Gatorade Victory Lane and concludes with access to the Coca-Cola Theatre and a close-up look at the winning DAYTONA 500 car. 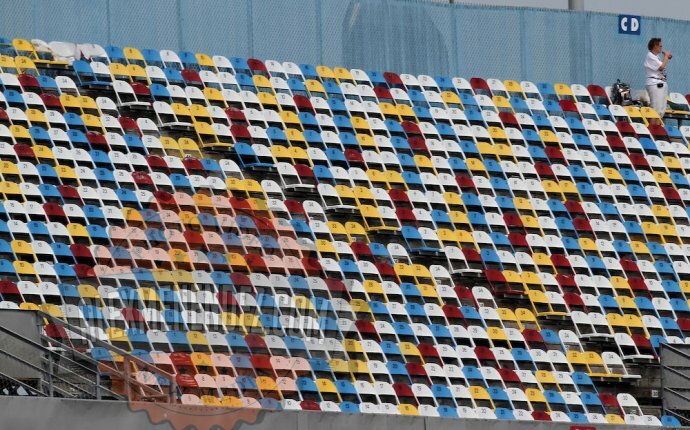 The tour will also provide a sneak-peek at Daytona International Speedway's historic Daytona Rising project, a $400-million renovation project that will see every seat in the frontstretch replaced with wider and more comfortable seats with more restrooms and concession stands, five expanded and redesigned entrances ("injectors") and escalators and elevators providing transport to any of the three different concourse levels that that will feature spacious and strategically-placed social areas, or "neighborhoods, " along the nearly mile-long frontstretch.